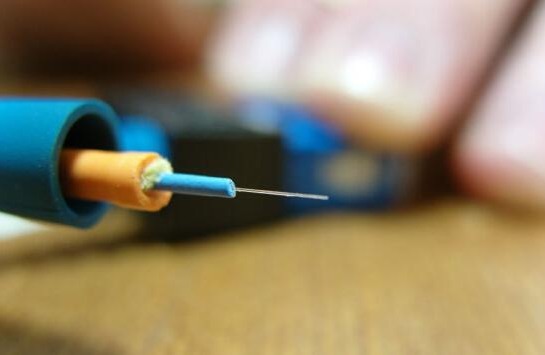 ﻿ Fiber-optic & copper cable hybrid, Can it dominate the deployment of the access network? The cost pressures and deployment difficulties of FTTH forced telecom operators to rethink the value of copper cables. As a result, the simultaneous deployment of fiber-optic and copper cable is the leading of future access network deployment, this has become the consensus of the industrial chain, and operators and equipment vendors will be the next task around the copper cable network technology innovation, how to better utilize the existing resources, how to better play copper cable waste heat is a real problem to be considered. The continuous development and maturation of optical fiber technology, the continuous popularization of the application scene, making the broadband speed-increasing construction on a large scale, people’s eyes also focused on the “light into the copper back”, expect new technology to enhance the ability and business breakthrough, Fast speed to enjoy. And the old things are often not willing to quietly out of the stage of history, always remind people of their value. With the advance of China’s broadband strategy, “light into the copper back” has been the entire broadband access network construction keywords, operators also devoted a great deal of enthusiasm, increase the speed of broadband speed, launched this year, the Ministry of Industry Broadband speed special action plan, the three operators have put forward their own broadband speed target. It is understood that the current three major operators of broadband speed target have been completed in the first half, large-scale broadband construction also took up more funds operators, FTTH brings high-bandwidth access at the same time, to the operators to bring a larger financial pressure. Large-scale deployment, investment in large sums of money, but not high returns, but the problem arises, that is, the increase in investment and profits did not increase accordingly. The industry chain can not help but reflect on how the established broadband strategy landed. Is the strategy of “light into copper back” feasible? After the “light into the Copper back”, how to deal with a large amount of idle copper cable resources? The cost pressures and deployment difficulties of FTTH have forced operators to rethink the value of copper cables. From a global perspective, the idle resources of copper resources is not a unique phenomenon in China, but the ubiquitous problem, only in the global rise of the national wave of broadband movement, because the Chinese telecom operators DSL deployment of the most extensive, the largest copper resources, so this phenomenon is the most serious performance. FTTH network transformation involves excavation, wiring, drilling, such as the entrance of many construction links, for the construction requirements are high, but also often face from the owners of the conflict, push the resistance is greater, and copper cable renovation program can maximize the benefit of the old, the use of existing copper pipeline resources, to upgrade, do not change existing pipelines. For operators, how to use existing resources to play a greater value is an important issue. The copper itself has a high potential for transmission, and the technology that has constrained the ceiling rate in the past has now been a breakthrough, which will help operators to better improve resource utilization. Data analysis by Heavyreading, a telecoms analyst, shows that 50% of the country’s optical fiber average coverage takes at least 10 years to achieve. Most carriers are unable to wait 10-20 years to launch a higher bandwidth service after fully FTTH, and they need to deal with the existing fierce competition and meet the growing bandwidth needs of users, which is why they choose to deploy FTTx. Most operators have set a 2020-year broadband target to achieve full broadband coverage using fiber, DSL, and wireless hybrid networks. According to industry experts, most of the world’s major operators are not the single use of fiber technology to achieve broadband deployment and more use of the “fiber-optic copper hybrid” deployment strategy to significantly reduce the construction costs and network deployment cycle. This will not only solve the balance of construction costs and bandwidth requirements but also more bandwidth can be provided to more users. It is the consensus of the industry chain that the hybrid scheme of fiber-optic and copper cable will lead the future access network deployment. And the next task of operators and equipment operators will be around the copper cable network technology innovation, how to better use of existing resources, how to better play copper cable waste heat is a real problem to be considered.